Traditional hair removal routines can be tedious painful and expensive over time. Shaving may last a day, waxing a couple of weeks but none of these methods are a permanent solution. Cynosure Elite MPX is getting to the root of the problem. It’s a revolutionary new technology for a variety of aesthetic applications which includes the removal of unwanted hair fast and painlessly using integrated cooling for the ultimate patient comfort. This groundbreaking technology allows for the selection of optimal wavelengths faster treatment sessions and treatment customization design specifically for each patient. 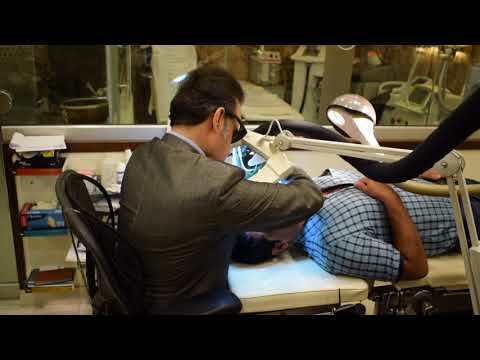 At Prof. Dr. Ikram Ullah Khan’s clinic, best quality Laser machines and experienced staff makes sure that patients get one of the top non-surgical procedures available today. Laser hair removal is the most rapidly growing procedure in Pakistan for cosmetics. The elite MPX works by emitting gentle pulses of energy through the skin into the hair follicle making it impossible for the hair to regrow. The beauty of the elite application is that hair removal can be applied to all areas of the body and on all types of skin, even tanned dark. Of course, we would only use a YAG laser on injury. What’s good news for patients is that with the elite laser we have two wavelengths in the box so we can treat any skin color of a patient. We need to use the YAG with darker skin types or use the Alexandrian on lighter skin types. Patients report only a tiny bit of discomfort during the procedure. You do know something’s happening but is it hard to describe if it’s going over your face. What the elite gives us is the ability to treat every skin type which makes it a truly universal hair removal device. The Alexandrian will allow us very fast and relatively painless hair removal with the air cooling system. Then with just the push of a button with this software on the machine it’ll switch over to the 1064 and then we can treat dark hair on the darkest of skin types. Although a series of treatments is recommended, however, patients often notice a significant reduction in hair after the first session. This laser technology is also used to help minimize bothersome leg and facial veins. The elite workstation treats spider veins by using hemoglobin as the target for the laser energy. The elite uses a laser to target the vein with tiny energy pulses leaving the surrounding tissue untouched. The blood vessel will in time disappear naturally. We deliver the laser energy to the blood vessels. Hemoglobin absorbs the laser energy, heat is created and from inside the vessel is destroyed / scarred. We’re actually able to eliminate the visibility of a lot of these vessels at the time we’re treating it. Hence, the immediate reward for the patient is quite gratifying. If you’re an active person, chances are that you spend more than your fair share of time in the sun. If you’re over 30, you’re more than likely to show signs of premature aging due to sun damage. With the elite MPX aesthetic workstation you can now treat sunspots pigmented lesions and overall skin texture making you look better than you have been in years. 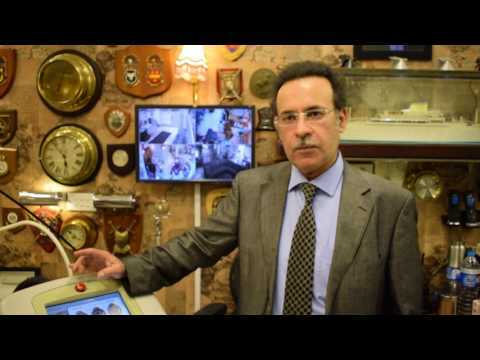 At Dr. Ikram Ullah Khan’s clinic, you can get skin rejuvenation procedures or a laser facial procedure. It’s an antiaging procedure that stimulates collagen production and makes the skin a bit smoother. It reduces brownness and redness. That’s very common and we do that all the time. We’re also able to do relays, the facial procedures, skin rejuvenation procedure for reduction of pigmentation, reduction of redness in rosacea making makeup go on smoother improving collagen in the skin. Last but not the least about sun damage; we’re able to treat these brown age spots on the hands, on the chest. It is very important that we’re always certain that we’re dealing with benign issues before we treat these. Once we know that these patients are doing beautifully it is very satisfying. Let’s face the fact that we’re in a society where appearance has become very important and people want to look their best. 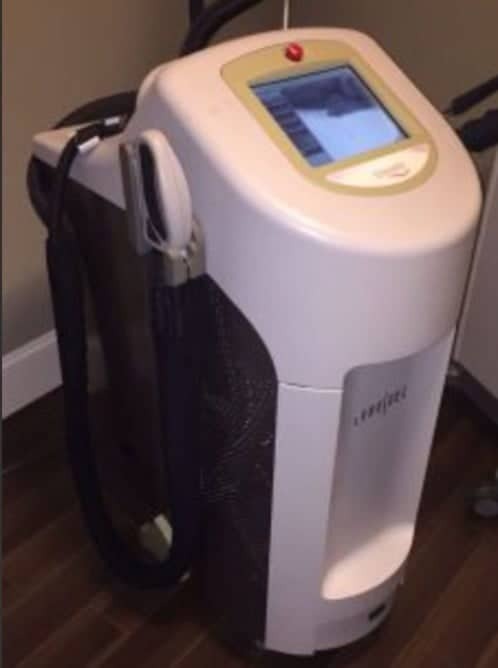 With the elite MPX aesthetic workstation you can be assured that you’ll receive a comfortable and effective treatment, whether it be for the removal of unwanted hair, unwelcome spider veins and facial vessels treatment of uneven skin tone and texture or just getting a smoother and more revitalized appearance. I would definitely recommend if anybody’s having problems or just the freedom of not having to shave. My patients love the procedures. The results are such life changing that sometimes patients become emotional after treatment. They’re absolutely thrilled with their results and it is not an exaggeration. This is how cynosure elite MPX is getting to the root of a cosmetic and social problem.